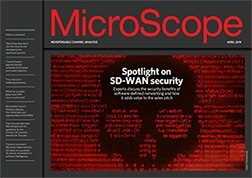 Cisco European distribution supremo Dominique Vanhamme has become the latest networking executive to move across to rapidly emerging Chinese network vendor Huawei. He took up the Brussels-based post of vice president of European channels and Global Competence centre last week. Cisco European distribution supremo Dominique Vanhamme has become the latest networking executive to move across to rapidly emerging Chinese network vendor Huawei. He took up the Brussels-based post of vice president of European channels and Global Competence Center last week. Vanhamme made his appointment official this morning in an email, bringing the curtain down on seven years at Cisco, and saying it was time for another "fun ride". "I always planned to stay in the industry as I'm enjoying it so much," he told MicroScope. During the summer, Huawei made a series of high-profile appointments, hiring Simon Culmer from Sun Microsystems to run its UK enterprise business, and John Suffolk, former government CIO under Gordon Brown, as its head of global cybersecurity. One Cisco distie said he had been made aware that Vanhamme was on the move as a result of the vendor's July management reshuffle, but added that the channel has not yet been informed of its plans for the role, while Cisco remained tight-lipped over the matter of Vanhamme's replacement. Huawei, meanwhile, had not responded to requests for further comment at the time of writing.